The production version of the Mission E concept, above, is due in 2019, followed by an EV based on the Mission E Cross Turismo concept, right, in 2020. Porsche Cars North America plans to have at least 500 fast chargers available at U.S. dealership and highway locations by the end of 2019. Another 20 will be installed at Canadian dealerships, but a timeline hasn’t been established. 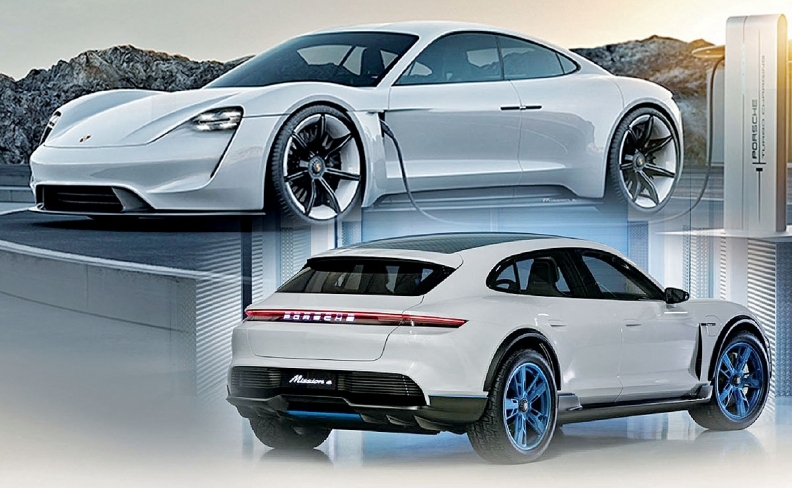 The production car based on the Porsche Mission E electric vehicle concept will be for sale in U.S. dealerships by the end of 2019 — by early 2020 in Canada. A second EV, based on the Mission E Cross Turismo concept, is planned for deliveries in 2020. 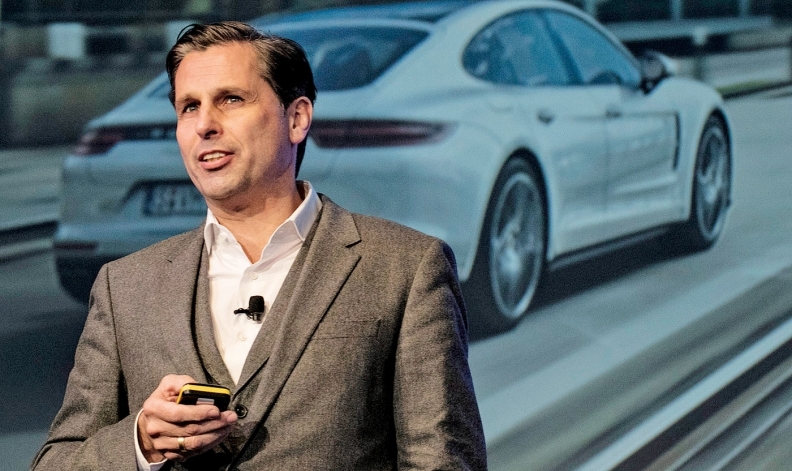 The automaker also continues to consider EV variants of established models such as the Macan, Panamera and Cayenne, said Klaus Zellmer, CEO of Porsche Cars North America. The 800-volt fast chargers will help alleviate any range anxiety that potential buyers of Porsche EVs may feel, Zellmer said. Zellmer called the cars’ range a psychological barrier, saying 80 to 90 per cent of EV owners will charge them at home or work. But a cross-country fast-charging network is a necessary solution to concerns about the “unlikely instances” when driving distances will exceed the vehicles’ range of roughly 485 kilometres, he said. EV owners will need to be prepared to pay for use of the fast chargers, which promise to replenish the batteries to 80 per cent of their capacity — enough to drive about 400 kilometres — in less than 20 minutes. Zellmer said U.S. dealerships would have the option to offer free fast charging to their customers if they like the traffic and want to use the charging time as a way to engage customers in dealership offerings. Porsche plans to inform each of its 189 U.S. dealerships in June of the infrastructure investment recommended for each location. A third-party vendor has visited every store over the last six months to evaluate those needs, Zellmer said. He wants dealerships to complete fast charger installations by the second half of 2019. U.S. Dealers are being asked to install at least one fast charger at each location along with a battery buffer that stores electricity from the grid. That buffer can then fast charge three cars in a row. The battery buffer option is much cheaper than setting up the system to charge vehicles straight from the grid, Zellmer said. Porsche has spent more than US$1 million to install six fast chargers that charge directly from the grid at its U.S. headquarters in Atlanta, he said. The automaker is working with three potential partners in the United States — ChargePoint, EVgo and Electrify America — to set up the 300-plus nondealership fast chargers. Porsche also is considering destination charging at locations such as golf courses and hotels. Those wouldn’t have to have fast-charging technology, Zellmer said. Porsche dealers expect to get a road map and a clearer picture of the costs of the charging infrastructure soon, Todd Blue, a member of the Porsche Dealer Board of Regents, said recently.